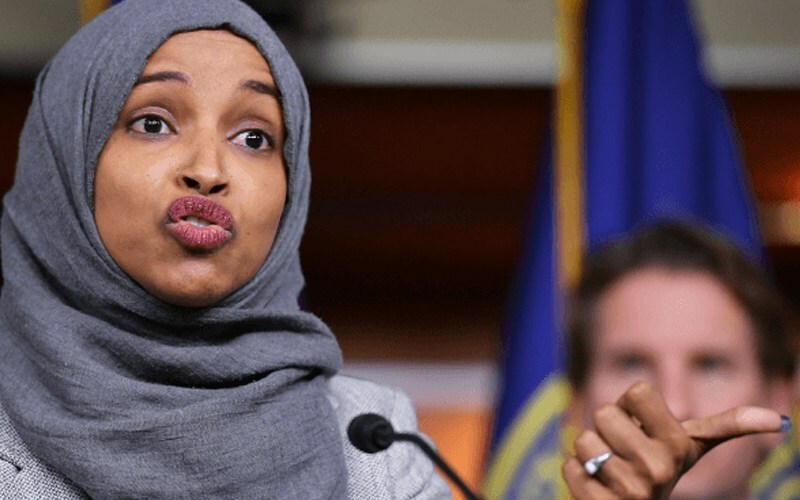 The New York Post has hit back hard with a scathing rebuke of Rep. Ilhan Omar, D-Minn., following her recent comments on the September 11, 2001 terror attacks. The Post was referring to Omar’s recent comments at the Council of American-Islamic Relations [CAIR] fundraiser last month when she called upon other Muslim-Americans to “make people uncomfortable” with their activism. However, another part of the speech surfaced on social media this week in which Omar described the terror attacks perpetrated by Al Qaeda. Her comments prompted a response from Rep. Dan Crenshaw, R-Texas, a former Navy SEAL who lost his right eye after being injured by an IED in Afghanistan. “To call them merely ‘some people’ is to deny a cancer festering in the world Muslim community,” the editorial said. Omar, who became the first Somali-American elected to Congress in November, appeared on “The Late Show with Stephen Colbert” on Wednesday where her 9/11 comments were not addressed. The freshman congresswoman told the host she was still “learning” after she was accused of making an anti-Semitic remark in February.